I would say that I am a fairly new blogger so when I got nominated by Hannah for the Liebster award I was excited!! I love finding new blogs and getting to know people so this is just perfect for me!! 2. Answer the 11 questions that your nominator has asked you. 5. Let them know that you have nominated them. 3. I am currently in the process of finding a Summer Camp to work in next year through Americamp! 4. When I meet people for the first time I like to tell people that I am a proper Visual Merchandiser , I don't have the title (lol) but I do dress my works windows! 5. I fell in love with New York when I visited it in March! 7. I have been Gluten free for nearly 4 years and I still miss it!!! 8. My favourite color is baby pink and I love the colors white, gray and gold together with the pink. 9. My maybe, not guilty pleasures are Little Mix and Dance Moms!! 11. I still live at home with my parents and sister Sarah and I love them so much!! 1. Do you speak any other languages, if not, what language would you like to learn? I used to take German at school but I know the complete basics, however, I would love to know French! It is such a pretty language!! 2. What is your all-time favourite film? Childhood film, Matilda 100%, I always wanted to have her powers but I love Clueless! I don't even know how many times I have watched it!!! 3. Besides blogging, what other hobbies do you have? 4. Where has your favorite holiday been? Like I said I fell in love with New York, however, I love Paris and Malta also!! 6. What's your favourite type of cake? I don't even eat this cake a lot but it would be carrot cake! 7. If you couldn't go abroad on holiday, where would you like to go within your own country? As much as I would of 'lol'd at saying this when I was younger but somewhere up the North of Scotland, in a cabin away from everything, with nice views and calm!! 8. Do you play any sports, if not what sport would you like to take up? 9. What's your makeup essential? Something to fill in my brows, mascara, light foundation, and a light bronzer!! That's all I think I could live on!! Listen to music, long baths, candles and warm blankets!!! I would go on a crazy shopping spree in NY and probably blow it all!! What is/are your guilty pleasure/s? What is the farthest you have traveled from home? Can't wait to hear your answers!! Hope you are having a wonderful week! I'd love to do Americamp, it looks like so much fun! Congrats on being nominated! It's so lovely to find out more about you! Great post! 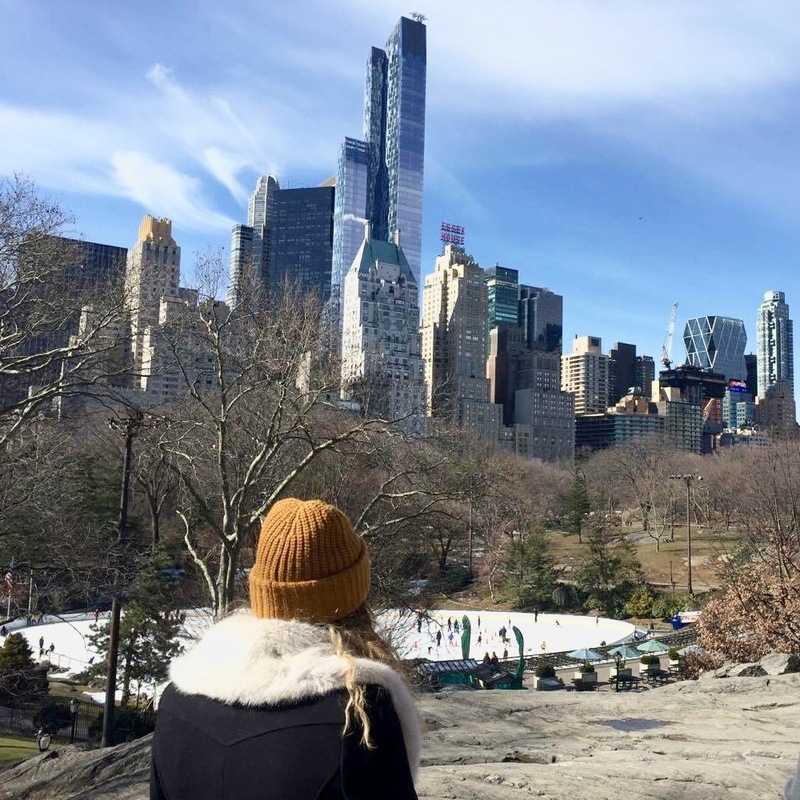 Great read :) I also fell in love with New York when I visited!! I also love Carrot Cake! I love the questions that you asked, they're great!! Especially the 'who would you haunt' one haha! I wish I could go to New York and fall in love with it too, it's definitely on my bucket list! Thanks for sharing! Congrats on being nominated! Love posts like this where you can get to know a blogger more and love the questions you've asked! Thanks for sharing! I love posts like this, it was so much fun when I got nominated for the Liebster award, really surprised me as a new blogger that people wanted to read more about me! :) I'm just like you with your first fact - I'm almost 21, and I could pass as 16, haha, it's a blessing and a curse to look young! Loved this! New York is my favourite place in the world too, and I have a slight addiction to carrot cake haha. Such a fun post, congrats on the nomination! Such a great post, I love getting to know more about people in posts like these! I love these sort of posts. Firstly, I'm 23 and people think I'm about 12 so don't worry about that. We'll be laughing when we're 40 and look 20! No you don't want a winter birthday because people then think they can get away with buying you one gift instead of 2 separate ones! (My birthday is 3 weeks after Christmas, dammit I want two gifts!). Also I love Dance Moms! Did you watch Monday's episode? How good was Kalani? Finally, I don't like cats either!